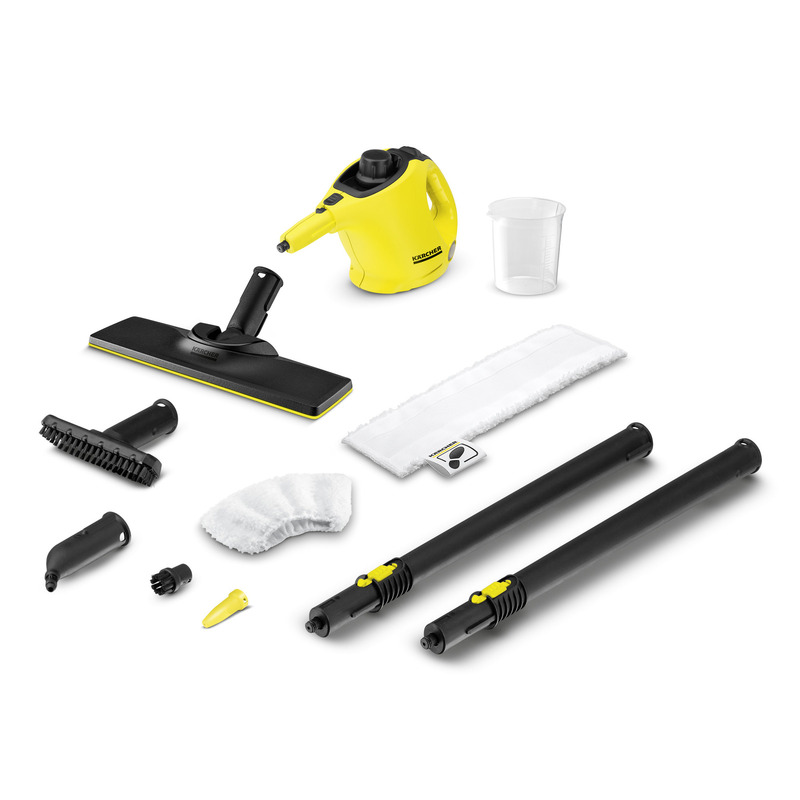 SC 1 EasyFix 15163340 https://www.kaercher.com/ie/home-garden/steam-cleaners/sc-1-easyfix-15163340.html The SC 1 EasyFix is a compact 2-in-1 steam mop and is ​​ideal for quick, chemical-free cleaning. Thanks to the supplied EasyFix floor nozzle, it also makes cleaning your hard floors effortless. The SC 1 EasyFix is a compact 2-in-1 steam mop and is ​​ideal for quick, chemical-free cleaning. Thanks to the supplied EasyFix floor nozzle, it also makes cleaning your hard floors effortless. Relying on nothing but water, the SC 1 promises a deeper clean than ever before. 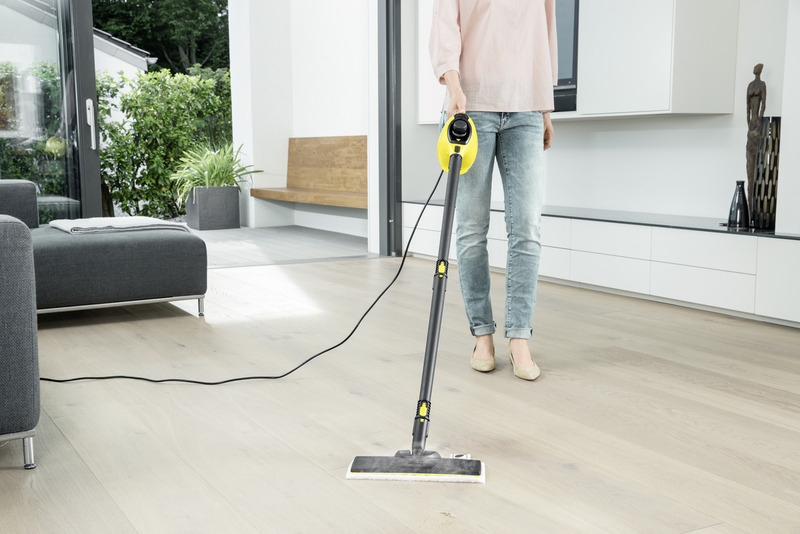 From stubborn stains to kitchen surfaces, this handheld steam cleaner can provide deep cleaning results in even the most awkward corners and angles. 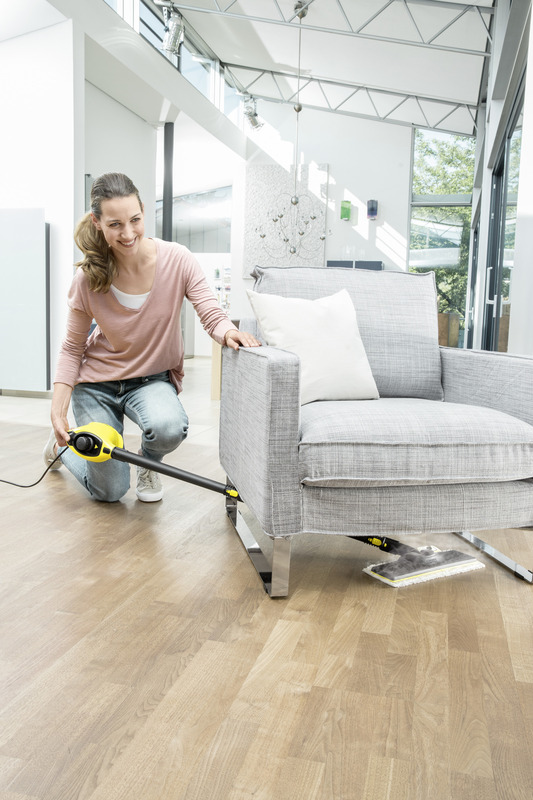 This lightweight unit is incredibly versatile, coming with a number of different attachments designed to make light work of any household cleaning task. By making use of steam, rather than traditional water cleaning methods, this multi-use steam mop makes the removal of dirt and grease effortless. Simply put, all nooks and crannies from the top to the bottom of your property can be transformed in a matter of minutes with the Kärcher SC 1. Easy storage in even the smallest of cupboards. SC 1 EasyFix is rated 3.6 out of 5 by 16. Rated 5 out of 5 by SLC4 from Great product I bought the product a week ago and it’s quality is excellent. Rated 5 out of 5 by CMW16 from Perfect small steamer! Love this steamer doesn’t hold a lot of water but it’s so light and easy to use I don’t mind filling it up! We have 4 floors and I have a couple of these ! The usual Kärcher quality. Rated 5 out of 5 by clean floors from Best £99 spent I love this! Simple design and very easy to use and gets a great result every time.